Scotland’s route 66, the North Coast 500, has hit popularity scales to make your ‘See You Jimmy’ hat ginger hair stand on end. 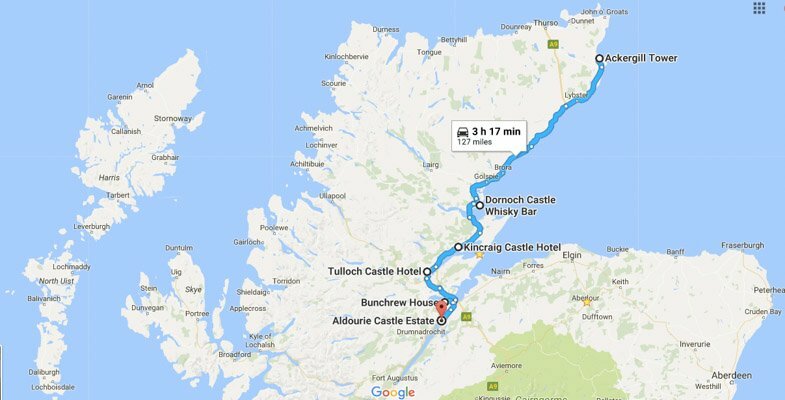 This is great for Scottish tourism but a bit of a challenge for visitors when it comes to finding North Coast 500 accommodation if not booking ahead (like us). However, there are plenty of options from luxury to penny-pinching budget if you are organised and this North Coast accommodation guide will help you make the right choice for your type of trip. 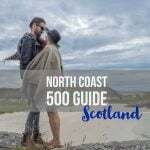 You can check out our full North Coast 500 guide from the itinerary, budget and ridiculously stunning images if I don’t say so myself (credit to Scotland and not my photography skills) here. PS, we have no affiliation with NC500 at this time. Although there are hotels all over the North Coast 500 route, some modest and other grand, it is traditional for holidaymakers to stay in bed and breakfasts in Scotland. A B&B is a private room in a local’s house. Some may have private bathrooms, others may not. Interaction with the host depends on the personality but usually, they meet and greet you on arrival and serve you breakfast the next day. We enjoy sitting at the family table (minus the family members), chatting with the locals to find out more about the area and also the peculiar life of Highlanders! You’ll meet many Scots or even expats who have left city life to move up north and enjoy the tranquillity that you are about to experience. Hotels are vast and vary in size and cost. If you envisage yourself sleeping in a 15th-century castle then your wish is my command, on the North Coast, 500 dreams do come true! For those just looking for shut-eye, there are options for under £100. If you are on a budget pick hotels with breakfast included as you may end up spending more eating out. See our NC500 guide for our budget costs – due to logistics/tourism you can expect a ⅓ mark upon central belt Scotland prices. During any hotel stay, we recommend asking the reception/door staff/bell boy for tips on what to do in the local area, they have first-hand knowledge to get you off the beaten path. Hostels are an option on the NC500 which I am happy to say. This means that those who are solo travellers but like to socialise or travellers on a budget can still enjoy what this scenic Scottish road trip has got going on! Hostels advertise a bed in a dorm or sometimes a private room. Most hostels have kitchens for those who want to cook their own food (Inverness and Ullapool have a large grocery store called Tesco, other villages have smaller shops). Many of the hostels have drying rooms, this is ideal for those hiking as it rains in Scotland (shock!) Drying rooms were very much appreciated during the West Highland Way hike, which you can read about here. The first and last stop of the NC500, the capital of the Highlands, Inverness offers lots of variety. The closer to the city centre the better for those hiring a car or having a dance and tot at the ceilidh club, Hootenanny. Remember to check if your Inverness hotel has parking. In order to get a hotel in Inverness for under £100 in high season, you may have to look a bit further out of the city centre at the likes of the Smithton Hotel. 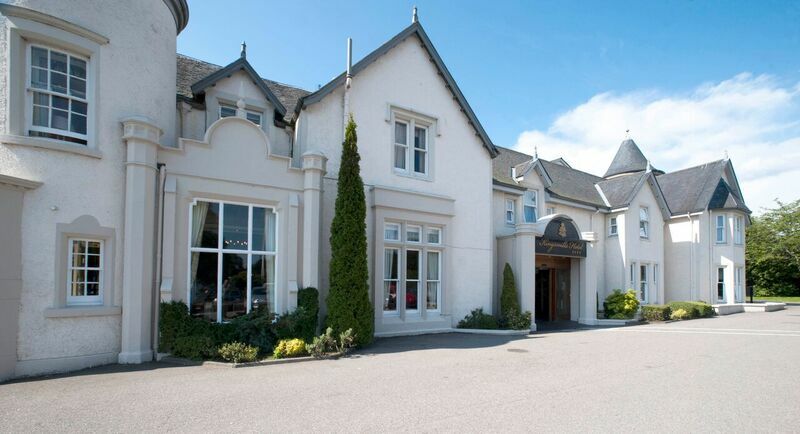 This two-star hotel is 3.5 miles from the centre, 5 miles from the airport and only 1.2 miles from Culloden. It offers free parking, free breakfast and WiFi throughout. Customers rave about the friendly staff, nice food and well-stocked bar. When spending a little more, your options for a city centre hotel in Inverness increase. The super modern Mercure Inverness Hotel overlooks the River Ness, has extensive facilities including a gym, 24-hour room service and the Brasserie Restaurant for meals. Parking is available and breakfast options can be added or are included in some packages. While holidaying in the UK why would you not stay in a four-star country house? Macdonald Drumossie Hotel is set in 9 acres of parkland and is only 10 minutes drive from the centre of Inverness. Guests can enjoy breakfast with some packages. Dinner menus also available at the award-winning restaurant, the Grill Room. Parking available onsite. Hotel Kingsmills is a mansion hotel with a swimming pool and spa. Originally built in the 18th century, it is one mile from the city centre, 10-minute walk away, and offers free parking to guests. Many of the rooms uniquely have garden views. There a few dining options, the Kingsmills Restaurant offers a menu of fresh, local produce. Guests can also dine in the garden conservatory brasserie, for a more informal menu. There are 10 hostels in Inverness for budget travellers. For information, reviews and prices for all 10 click here. Hostel dorm rooms start from £15 at the Inverness Tourist Hostel which is centrally located and offers free overnight parking, perfect for NC500 getaway. –> See here for reviews, availability and the best prices. One of the most popular hostels is the Black Isle Bar and Rooms. The appeal? It’s the first bar to sell craft beer and also offers tours of the Black Isle Brewery (the Black Isle itself is stunning). Rooms sleep 1-4 people and all rooms have an en-suite bathroom (image below). The bar also sells organic pizzas. –> Click here for reviews, availability and the best prices. Note: some of the other hostels in Inverness demand 7-night stay which may be problematic for those looking to nod then NC500. After the nail-biting Bealach na Ba you will be looking for a stiff drink and a lie-down. Depending on which area of breathtaking Torridon you choose to stay in there are the following options. Applecross is the first stop after taking on those hairpin bends. An economical yet enchanting option for Applecross is to stay in the old hunting lodge of the Applecross Estate at Hartfield House. This hotel is located in the bay with views of the Isle of Raasay and Cuillin Hills of Skye ahead. Rooms have shared bathrooms which may not be everyone’s cup of tea. Hartfield House welcomes families, bikes and pets to the Highlands and the North Coast 500. Parking available onsite. My favourite village in the Torridon area, Shieldaig. If caught on a dry day you can watch the sunset over Shieldaig Island. Bliss. There are no online advertised bed and breakfasts in Sheildaig; we found ours through Airbnb. Have you used Airbnb before? We love it. We’ve used it all over the Americas and Europe. Private houses are less common on the NC500 route but privates rooms with breakfast are popular. Sign up using our referral for money off and we’ll receive credit too, many thanks! 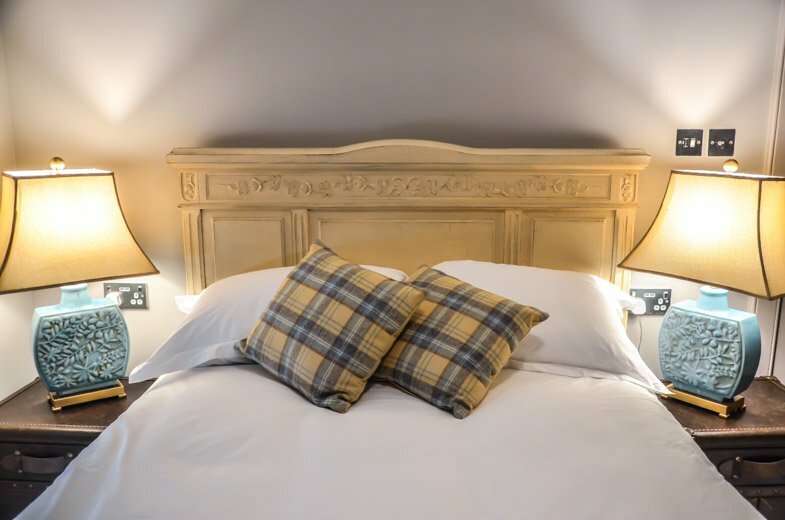 There is really only one option for romance and luxury in the Torridon area of the Scottish Highlands and that is the respected hotel, The Torridon. Set on 58 acres of private parkland on the shores of Loch Torridon, each boutique room has been designed individually. The room also has its a private bathroom with none other than Molton Brown products. 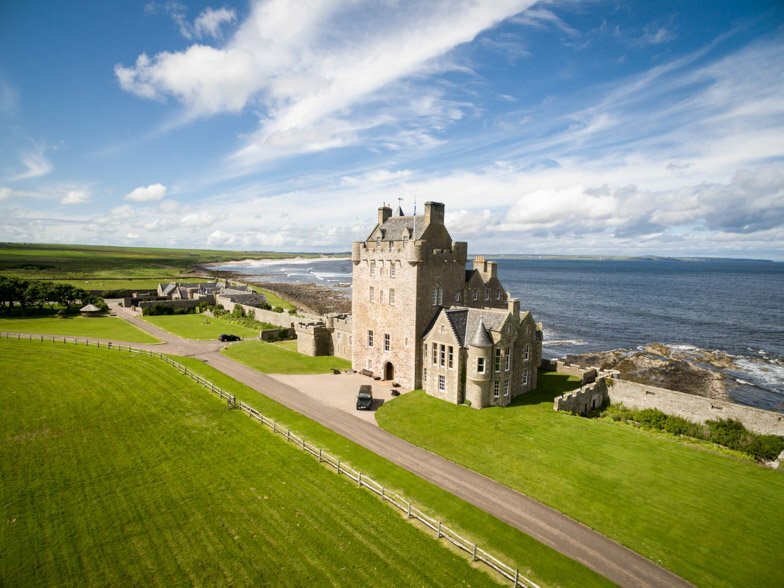 This luxury NC500 hotel shows off its castle turrets and period features but decorated with a modern twist. The Torridon Restaurant features a Scottish menu, and cooked breakfasts are optional. 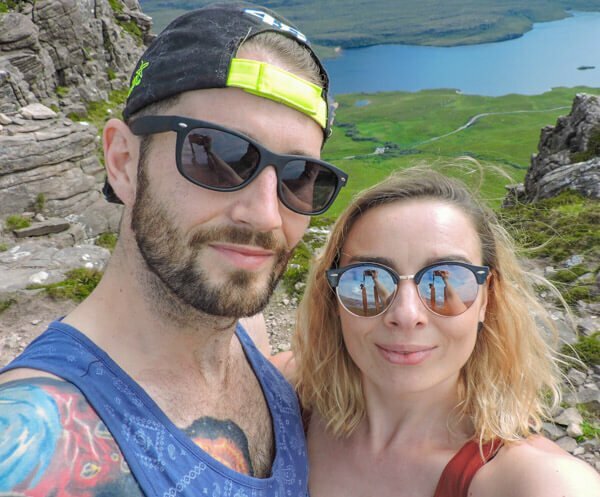 The Torridon really is a perfect spot for those taking a Scottish Highlands honeymoon. There is one Torridon hostel, Torridon Youth Hostel ran by the Scottish Youth Hostel Association. This family (and dog!) friendly hostel is surrounded by hills ready for hiking, perfectly located under the highest peak in the area, Liathach. 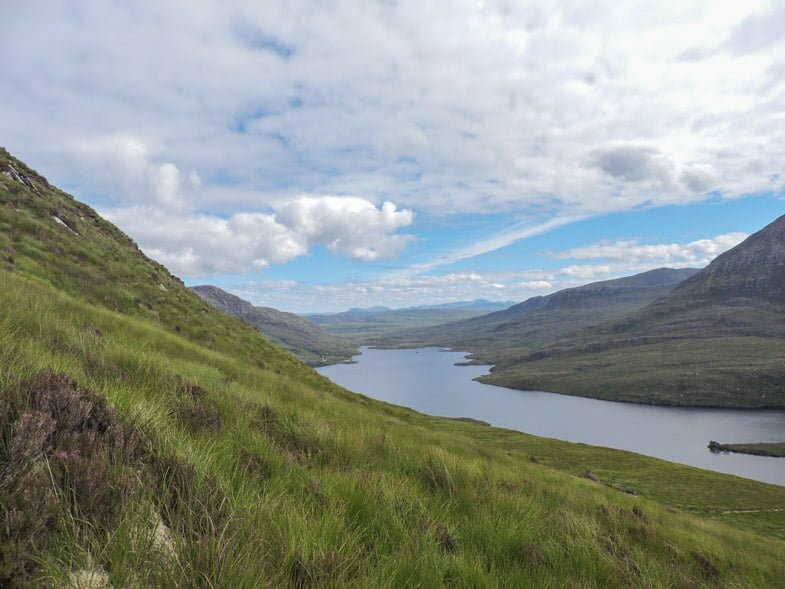 Torridon Youth Hostel boasts of a large kitchen, two social areas, a drying room and panoramic views along with private rooms and dorm beds starting at £14. The 19th century Shieldaig Lodge Hotel is one of the few remaining traditional Highland shooting lodges open to the public. Each room has its own private en-suite and free toiletries. A full Scottish breakfast is available as well as a selection of whiskies (for after breakfast!) WiFi is available in public areas. This is not in the village of Sheildaig mentioned above. Image courtesy of Shieldaig Lodge. Childhood holiday destination for many Scots, Gairloch is home to two beaches and a few coffee shops. There is also a very scenic golf course so you can phwoar while you fore. The Old Armoury Guesthouse is your cheapest option in Gairloch. Privates rooms have a shared bathroom. Seating area is available for relaxing. Cooked breakfast by the host gets the thumbs up from guests. The Gairloch Hotel appears a tad outdated but it does offer free parking and breakfast. The hotel is less than 10 minutes walk to the beach. The Gairloch Sands Hostel, managed by the Scottish Youth Hostel Association, is the oldest of the SYHA hostels. The former hunting lodge was built in 1880 but is now maintained as a family and dog-friendly hostel. 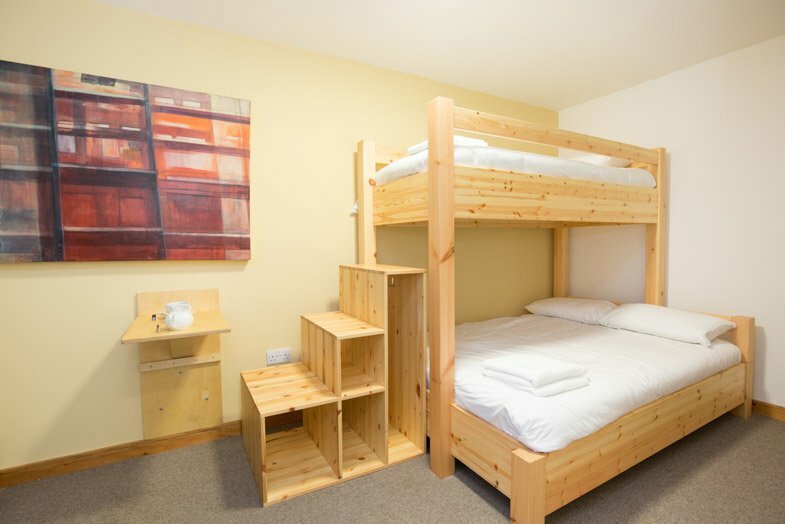 Dorms (from £23) and private rooms are available for booking. The hostel offers free parking and meals are available. Poolewe is an attractive NC500 village with one sleeping option – the Poolewe Hotel. The 16th-century building is popular for its seasonal entertainment, log fire bar, local produce meals, and views of Loch Ewe. –> For availability and prices click here | Read reviews or book with TripAdvisor. Ullapool is the largest village on the NC500 itinerary, home to serious musical talent including my good friend, Kim Richards. ‘Trad scene’ fans should devote two nights to Ullapool if you want to enjoy the scene and/or do a bit of hiking. We recommend walking the Stac Pollaidh, it’s only two hours and relatively easy (image below). There are quite a few options for North Coast hotels in Ullapool. One of the oldest hotels in Ullapool is one of the cheapest! The building in which the Caledonian Hotel was constructed in the early 1900s, the decor has had some sprucing up since then mind you! The hotel allows pets, offers parking and WiFi. Breakfast and dinner are included in some packages. Avon So Soft for the blasted midges in Ullapool! The Arch Inn is located on the waterfront. 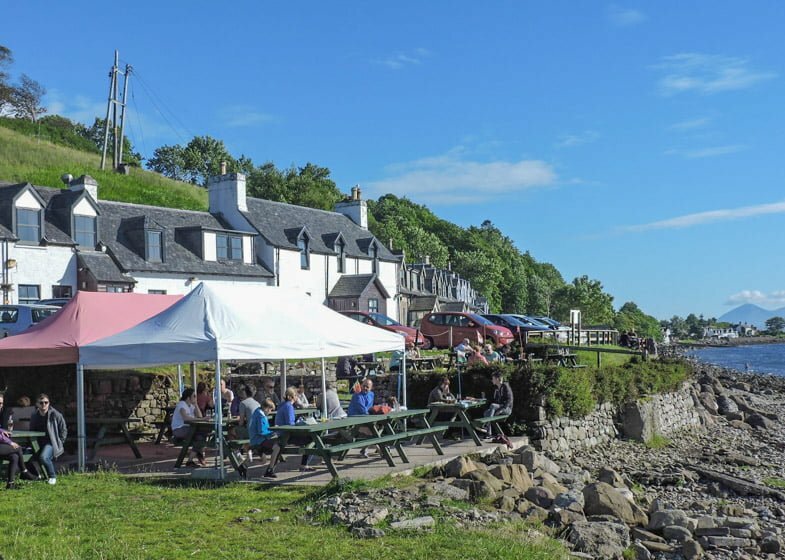 On a warm day, visitors perch up and drink pints on the seats which spill onto the road overlooking the Loch Broom and Ullapool ferry terminal. Live music can often be found at the Arch Inn bar and food is served daily in the restaurant. Breakfast is included in many packages. Sea view rooms are a tad more expensive. There is only one Ullapool hostel, again managed by SYHA. Ullapool Youth Hostel sits on the seafront with views of Loch Broom and Beinn Dearg mountain. Lochinver is a small village most popular for its (expensive) pies. 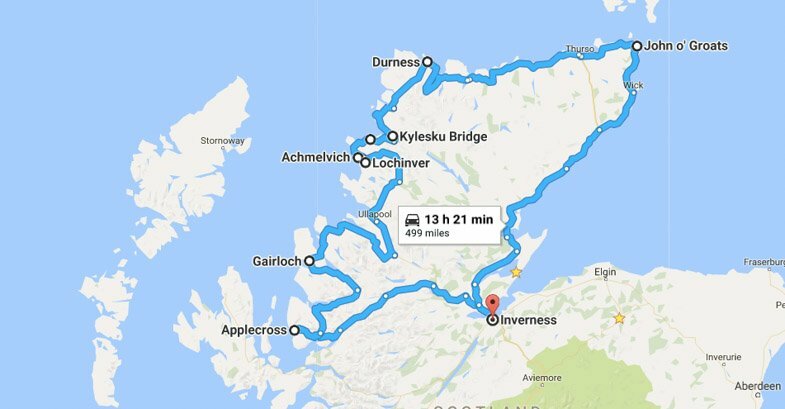 It is also close to the B869 (it needs a sexier name) which was one of my favourite parts of our NC500 itinerary. Tucked into the B869 you will find Achmelvich Bay (and campsite) as well as Clachtoll Beach (and campsite) and a small cluster of houses amongst the hills. Park House Bed and Breakfast in Lochinver offers modest bedrooms with shared bathroom facilities for under £100. Breakfast is also included in the price. Glencanisp Lodge is a traditionally decorated hotel located in Lochinver. Free WiFi access and free private parking is available as well as breakfast. The four-star Inver Lodge overlooks Lochinver Bay in the Scottish Highlands. The spacious rooms each have a flat-screen TV and free Wifi is available throughout. The award-winning hotel restaurant, the Chez Roux, serves a variety of meals and breakfast is available with some packages. Afternoon tea in front of the log fire is a delightful option available to guests. O.M.G, and I do not use that phrase often. SYHA have a hostel at Achmelvich Bay. Just book it now, seriously. Crystal clear turquoise waters and white sand beaches are the views from this hostel, no wonder it is rated 9.7/10. You will not be surprised to hear that Achmelvich Beach Hostel is often (mostly) sold out. It accepts group bookings and dogs. The hostel has a self-catering kitchen, dining room, and dorm beds start at £23. One of the most scenic hostels on the North Coast 500 – catch it if you can. Scourie is home to one of the most ‘cool’ campsites in Scotland. Campers pitch up in the inlet next to the water. For more information check out our campsite guide coming soon. Durness is a very small area in the north-west however it is a good base for Cape Wrath boat trips and visits to Smoo Cave. Balnakeil beach is also located in Durness, breathtaking turquoise waters and white sand dunes. John Lennon used to holiday here, now you can too rock star! Durness has a hostel and an incredible (albeit very exposed) campsite. There is a local Spar shop (limited groceries, maximum snacks) as well as restaurant/bar next to the Sango Sands campsite. Right next to Smoo Cave (and Sango Sands campsite) you will find Durness Smoo Youth Hostel. Yet another family and dog-friendly (regretting not taking our German shepherd/husky, Bowie) SYHA hostel with dorms and private rooms. Self-catering kitchen, drying room and coal-burning stove heated area also provided. The hostel is relaxed and friendly, providing a simple base from which to explore the area on a budget. There are multi-share and private rooms, a well-equipped self-catering kitchen, drying room and cosy lounge heated by a coal-burning stove. Close the John o’ Groats, Thurso is the northernmost town in mainland Scotland and is known to have the best waves in Scotland. People actually come to Scotland to surf! The trendy Inn at Y-Not is located in the heart of Thurso. The hotel is a 10-minute walk from all amenities, shops, bars and restaurants. Rooms have en-suites and there is free Wi-Fi throughout the hotel as well as free parking. The Inn @ Y-Not bar has live music and the hotel also serves food in its restaurant. Traditional breakfasts available for additional cost. Sandra’s Backpackers receives positive reviews for friendliness and location. Breakfast is included, and Thurso has restaurants and cafes for those choosing to eat out. Sandra’s Backpackers offer luggage storage, linen hire and bike rental. Dorms start at £18 and private rooms are available. Availability of hostels eases on the North Coast 500 as you hit Caithness. Those travelling around the Route 500 looking to see wildlife may get lucky in John o’ Groats; seals, dolphins, minke and killer whales do visit. There is also a nice option to walk the coastal path from John o’ Groats to Duncansby Head Lighthouse and the famous Stacks of Duncansby. Those looking to take a trip to Orkney can do so from John o’ Groats. Northern Sands Hotel is situated in the village of Dunnet, 1.9 miles from Dunnet Head and 6 miles from the beach. WiFi is available throughout and parking is reserved for guests. The hotel also runs a restaurant selling meals made with local produce Dunnet Bay Distillery (distillery article coming soon!) 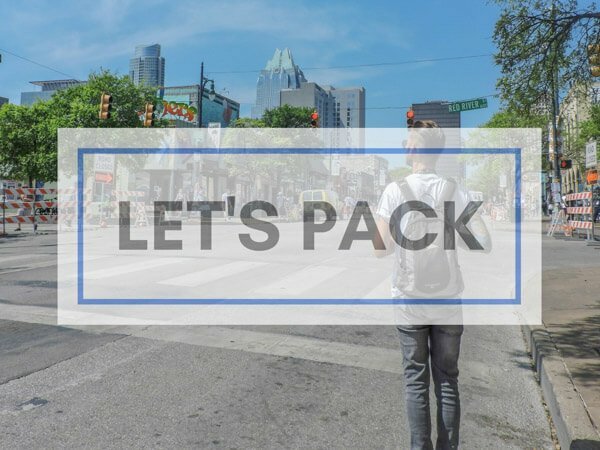 is a one minute walk away. Dunnet Bay and John o’ Groat both have NC500 campsites. Harbour House is a converted home of the harbour masters of Pulteney. This 19th-century building is located in the heart of Wick. Harbour House offers free Wi-Fi, a lounge with a pool table and breakfasts (Continental or cooked) served in your own room! Harbour House is a few minutes walk from the pub. There are quite a few B&B options in Golspie however even writing this in August 2017 I’m being hit with the ‘one room left’ warnings for July 2018. If you know you want to drive the North Coast 500 I would suggest nailing your dates and booking accommodation now! Burnwood B&B is a modern house with private rooms and a shared bathroom which has a beautiful standalone bath. Breakfast is included, parking on site is free and WiFi is too. Invicta House B&B also offers free breakfast, WiFi and parking. The B&B is a 6-minute walk from the beach and bikes are available for hire. Golspie Beach Apartment is normally sold out, so high five if you manage to book it! 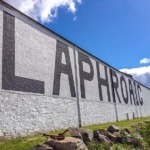 Tain is a good base for those looking to explore the NC500 distilleries on the east coast of the North Coast 500. You are never more than a 40-minute drive from the ‘water of life’ – please ensure that your designated driver is not participating in the tasting. Springfield guest house has nicely decorated private rooms with bathrooms, free breakfast served at a communal kitchen table, WiFi and parking. Guests think it is in an excellent location too. Dunbius Guest House is a quiet B&B in Tain. Rooms are comfortable, guests rave about the baked goods and breakfast served. 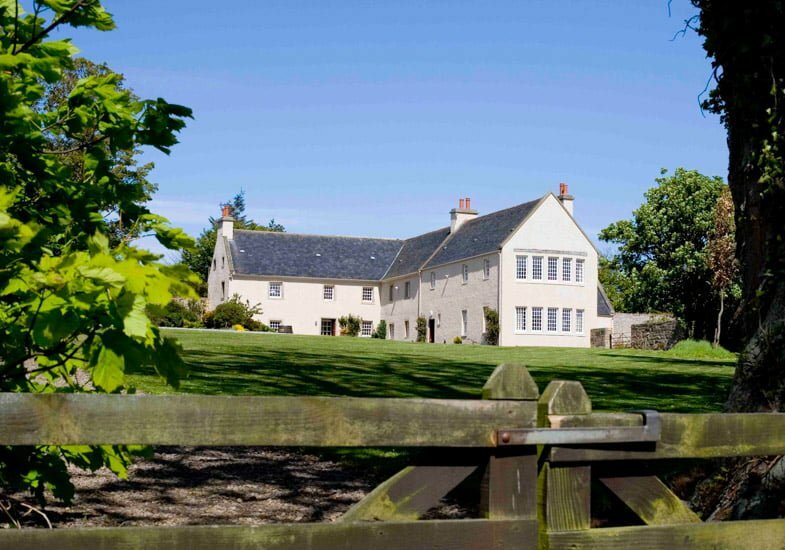 The elegant Glenmorangie House comes in at 5/5 on TripAdvisor down to its surroundings, attentive staff and focuses on whisky! Rooms are grand; some with four-poster beds! There is even a cosy snug with fire. Parents, childcare options may be available. Perfect or what? Image courtesy of Glenmorangie House. Who said the North Coast 500 hotels we stay at have to be just hotels? When discussing Scottish itineraries, I am often asked- can I sleep in a castle in Scotland? This time I can say for sure that yes princess, you can! Nothing says romance like pitching up in a turret once lived in by royalty! I am really surprised to see how affordable these castle stays are too. 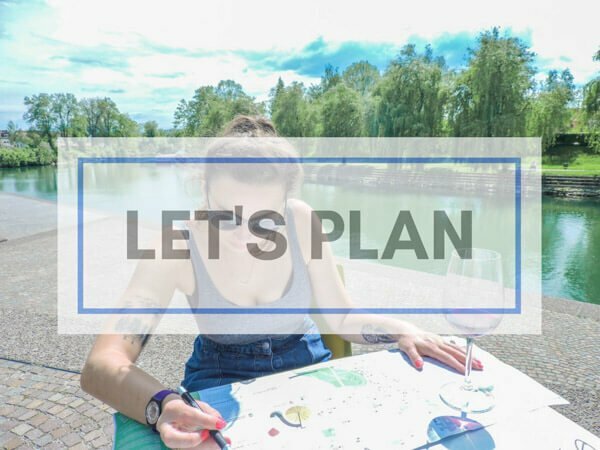 I’ve made it my year goal to stay in one, I think I deserve it after creating this article. So where are these castle hotels in Scotland? Let’s follow the castle trail from the northeast down the coast to Inverness. The five star, Ackergill Tower Hotel, is pure class for under £300. Not only is it set in 3000 acres of private ground but it also has its own beach. The 15th-century castle stands on the shores of Sinclair Bay and offers ensuite rooms which contain the original features of the castle. Randomly, Ackergill Tower Castle is home to Europe’s largest treehouse apparently! The castle also hosts luxury hen and stag parties (no learning plates in sight!) Image courtesy of Ackergill Tower. 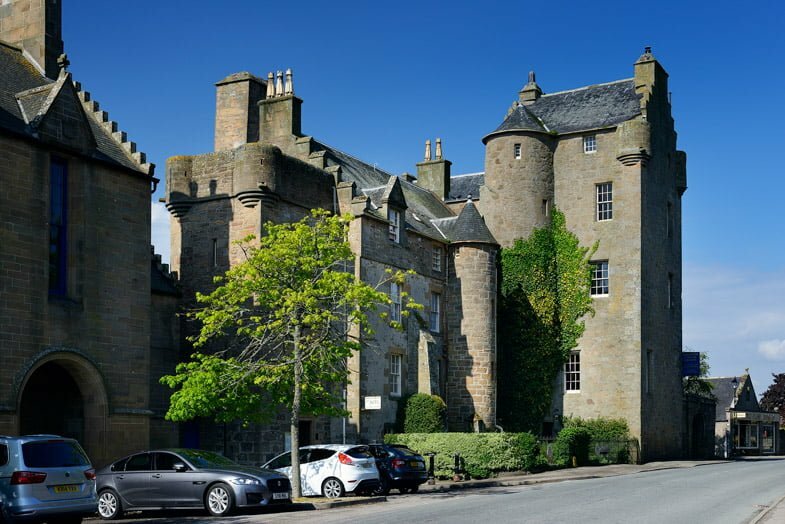 Dornoch Castle Hotel is a 500-year-old converted Scottish castle which has retained many of its period features. The Castle Hotel has a restaurant called the Garden Restaurant onsite for fine dining. The walled garden is a highlight for many guests, some rooms look onto these gardens. Dornoch golf course is a 10-minute walk. Rooms can be found for under £100 in high season but they sell out fast. Image courtesy of Dornoch Castle Hotel. Sleep where the Mackenzie clan once did at Kincraig Castle Hotel. This four-star hotel was built in the 1800s and overlooks the Cromarty Firth. Guests can enjoy dinner at the AA Rosette restaurant or less formal meals in the hotel’s Highland Bar. Some of the hotel rooms overlook the well-maintained gardens. Rooms can be found for under £200 in high season. Do you believe in ghosts? Well, the 12th century Tulloch Castle Hotel may have a surprise for you! The Green lady is hanging and waiting for you to stay over at the once home of the Davidson clan. Food is available at Turrets Restaurant onsite. The Tulloch Castle Hotel is pet-friendly. Rooms can be found for under £200 during high season. Not quite a castle but a more ‘modern’ 17th Century Baronial Mansion, Bunchrew House sits by the sea on the Beauly Firth looking over to the Black Isle. One of the many four-star NC500 hotels, Bunchrew House is partly pink on the outside and comfortable on the inside. Guests can relax in the Drawing Room and small parties up to 14 can hire the MacKenzie Room for dining shindigs or meetings. Rooms are more expensive (£400+ high season). I am not underestimating when I stress how popular the NC500 route has become. 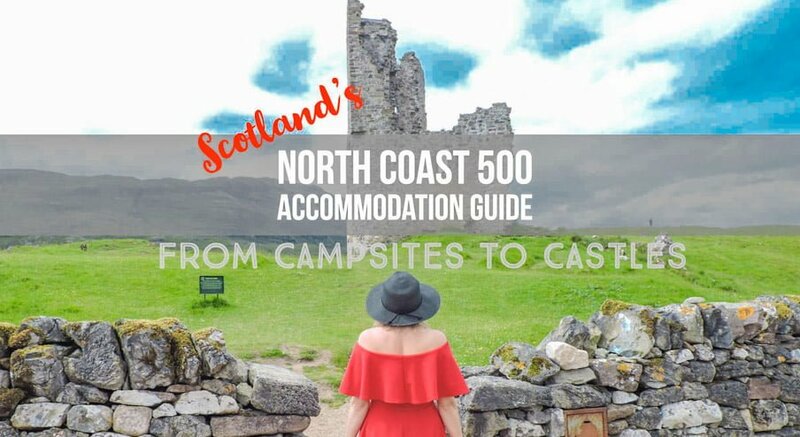 If you are interested in walks along deserted beaches (ironic since the route is so popular, I know), hikes up mountains and drams in castles get booking using the advice from our North Coast 500 accommodation guide! 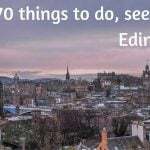 As the saying goes, “It’s not about the destination; it’s about the journey” and this is especially true for Scotland’s equivalent to Route 66. Oh, don’t forget to check out our jam-packed NC itinerary and tips and packing guide. 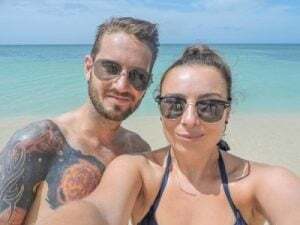 If you would like to follow more of our (Gemma and Craig) adventure join us on Facebook, Twitter and Instagram as we show off our home country, Caledonia. Pin to your Scotland board! Where are you planning to stay on the NC500? Are you a business looking to advertise? Let’s talk! Contact us. Prices are correct at time of writing (August), naturally, these are seasonal. I hope you get a good bargain! Any idea when it’s the best time to visit? Summer the prices are up, I am assuming, but maybe Winter is not so pleasant to visit? What do you think? Appreciate your insider knowledge! Thanks Matt! Our best months are actually April – end of June. I always remember walking past everyone sunbathing at Kelvingrove Park in Glasgow as I walked to the library to study for exams in May. 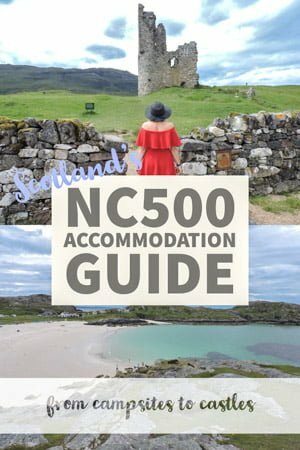 You might want to check out our NC500 guide too, it gives advice on time of year and those blasted midges! Hi can you book accommodation once on route , we fly into Inverness and drive in hire car if we drive left to apple something can we get a hotel or best to book . Thanks for reading Bev. I wouldn’t recommend leaving it to chance during the drier months. 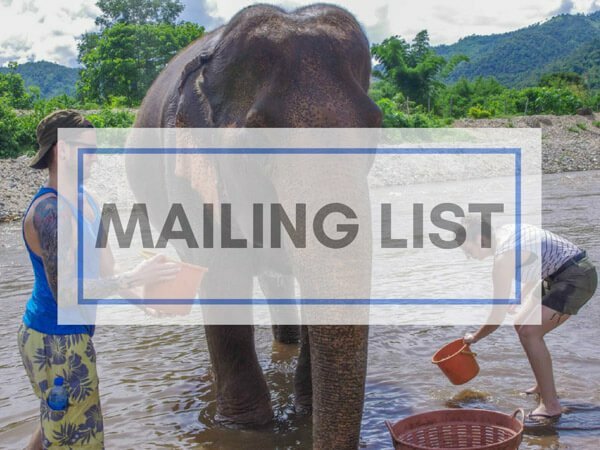 We booked a week in advance and were left with very limited options and I foresee an even busier summer ahead with the increase in marketing. It’s a great road trip, really worth it. You can cancel with Booking.com if that helps any. I think that’s safest option! Is there a paper copy I can buy? Unfortunately not Adrian, we’re only online at the moment. April 2019 are the Easter holidays in Scotland so there will probably be some crowds, less so than summer. You can see the availability of all the hotels in our guide, See ‘for availability and prices click here’ under each accommodation. From there you can use the calendar on the booking site to see if the desired accommodation is open for your dates. Thanks for Reply! We are going first week of April so hopefully we will miss most of the Easter crowds! Thanks again. Perfect! We’ve just had a strange couple of warm days but back to normal February weather now. I’ll do a sun dance for you.